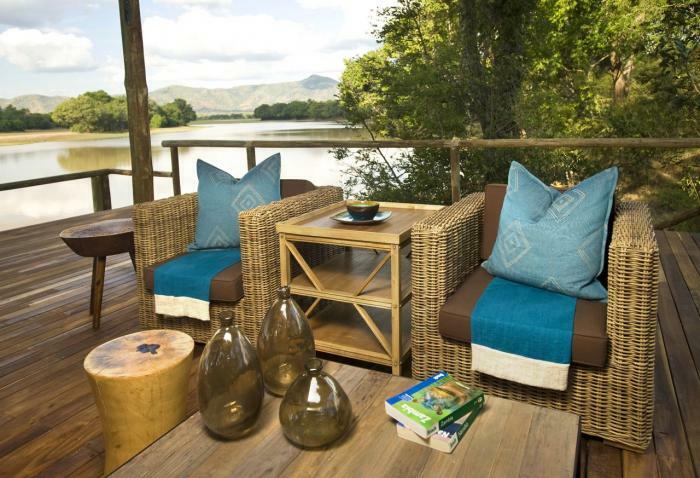 You might prefer to settle back with a gin-and-tonic in the central lounge and dining area – an expanse of varnished decking arranged on several levels around the surrounding ebony trees, boasting, of course, the same spectacular view of the serene lagoon and its inhabitants. 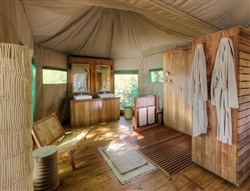 Whether you are in the mood for intrepid exploration or perhaps some more sedentary wildlife viewing, Chindeni Bushcamp will deliver. 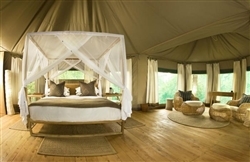 Avid game viewers and birdwatchers can set out on fascinating walking safaris, and explore the area on game drives, night drives and scenic sun downer trips. 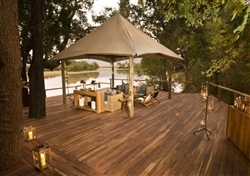 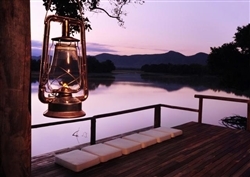 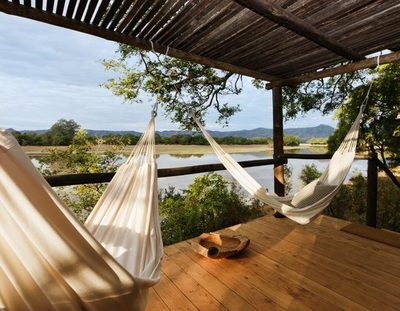 Or you can just park yourself in a deckchair at camp and watch the abundance of game that is drawn to the lagoon. 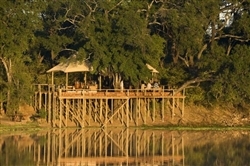 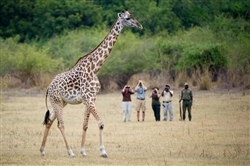 Children over 12 years are welcome at Chindeni Bushcamp. 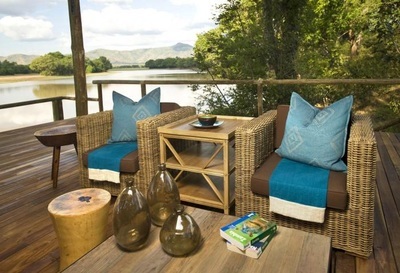 Should the camp be booked on a private, exclusive basis, then children under 12 years are also welcome.